I am often asked about credit card processing loans. These are funds provided to small business owners by a finance company based on the amount of credit card processing a business does each month. It is important to know that these are short term financing structures and they typically carry a higher than normal rate of interest, mainly because of the short term nature of these loans and the lower credit scores of the borrowers. Credit card processing loans, more commonly known as a "merchant cash advance", are not true loans, they are cash advances against your future credit card sales. They have a short payback period of 6 to 18 months. I advise business owners that it is much better to go to their local bank first to seek a loan since they will usually be paying less. However, not all business owners qualify for bank financing because of their credit scores and ranking. Also, it takes longer to close a bank loan and sometimes there are document preparation fees and attorney’s fees associated with bank loans. Even if you don’t hire your own attorney or accountant to review the documents before your sign, many banks will have you pay a document preparation fee or an attorney fee. The bank may require this for the work and preparation the bank needs to conduct before they can close and fund you the money you seek. If you are seeking a small loan and you are in a hurry to close because of an urgent need for the funds, then you might consider looking at credit card processing loans. Some emergency uses for capital might be an equipment breakdown or a quick expansion requiring an immediate need for equipment or to hire an additional employee or two. Quick access to cash, in a small amount, might be just what your business needs to keep customers happy and increase sales. After all, it’s all about growing your business and sometimes accessing needed capital today is more important than having the capital a month or two later when the opportunity may have passed. How Much do Credit Card Processing Loans Cost? Advance Amount. If you do about $25,000 per month in credit card processing sales you may be able to get a merchant cash advance of up to 1.5% of that amount, which would be a $37,500 merchant cash advance. Depending on the strength of your business and credit card monthly receipts this amount could be less. Monthly Payment Percentage or Holdback Rate. Some credit card processing lenders set a hold back percentage on the gross credit card processing the borrower does each month. That percentage is usually in the range of 10% to 20%. Other lenders will set a specific payment amount and a specific number of months for the loan to be paid off in full. This way the borrower will know exactly when the loan will be paid off. If the borrower is subject to seasonal fluctuation in their credit card revenue, it is better to go with a percentage each month rather than a fixed amount. The more risk the lender feels they are assuming with the cash advance the less number of months they allow for payment of the loan in full. As an option to credit card processing loans, also referred to as merchant cash advances, OnDeck Capital offers term loans and lines of credit. They have a long history of financing businesses. OnDeck is the largest online small business lender in the U.S. and has issued over $6 billion dollars in loans and since 2007 has been trusted by over 60000 small businesses providing them with term loans or lines of credit to help them build a growing and thriving business. Some of OnDeck Capitals requirements are: must be an existing business for 1 year or more, minimum credit score of 500, $100,000 revenue in the past 12 months and no bankruptcy in the past 2 years. The link to OnDeck Capital is an affiliate link for which I receive compensation in the event you receive a loan from them. If you would like to discuss comparison rates, please use the contact form on the right side of this page and I will get back to you promptly. Based on the amount of your monthly credit card processing they will fund you between 1 and 1.5 times the amount of your monthly processing and take a certain percentage out of your processing each month. The length of the payback varies, but is usually between 6 and 12 months, so it is a short term loan. Banks are more conservative when giving out loans because of regulatory requirements and loan guidelines. Banks typically have more overhead and larger operating budgets so you also have to keep that in mind when pricing any type of loan you may get from a bank. As an example, my research and experience shows that in general mortgage companies actually have lower rates than banks when it comes to mortgages. The same is true in general with credit card processing rates, banks have higher rates overall. However, that is not necessarily the case with credit card processing loans, so go to your local bank for the loan first. 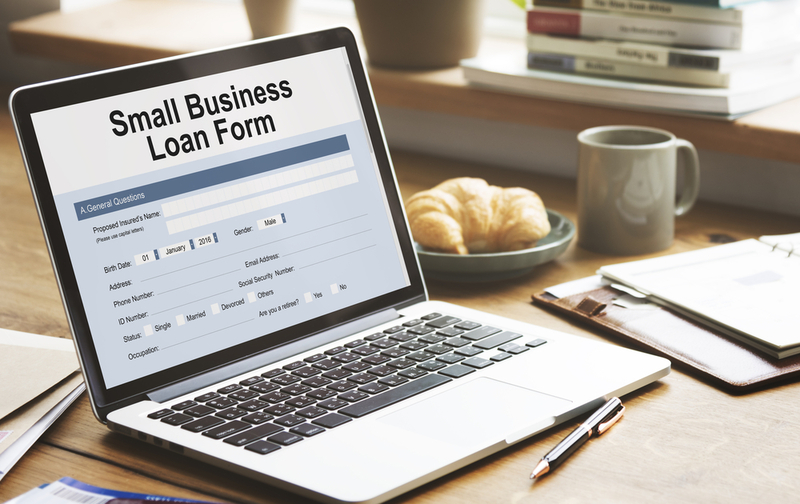 If you need a small amount of financing for equipment, inventory or more employees, but have a bad credit score, then carefully consider bad credit loans for a short term solution to your needs.